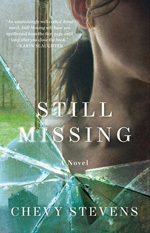 In Chevy Stevens's first novel, Still Missing , which has just been published to rave reviews and stellar sales, the reader might think that there are similarities between the heroine, Annie O'Sullivan, and the author. It's true that many first-time authors write thinly disguised versions of themselves at first. But in Still Missing, the main things that the protagonist and the author share are a profession - like her heroine, Chevy Stevens was a real-estate agent - and a drive to move forward. Still Missing, which is narrated by Annie through sessions with her therapist, has such drive, and the character has such presence, some readers might think that Stevens is channeling herself. Not so. It's a work of fiction - but one that has the sharp sting of truth. In the novel, a woman recounts the tale of her abduction at an open-house, her agonizing captivity in the woods at the hands of a madman, and the aftermath when she is freed and begins to become aware that there is more to her situation than she had realized. Stevens sat down with Criminal Element editor Bob Hughes to discuss how her new novel came about. Bob Hughes, Criminal Element: You had a career as a salesperson before you took up writing. Chevy Stevens: Yes. I was a sales rep for a teddy bear and giftware company, then I got into real estate. Then I left real estate and sold my house to concentrate on writing. Bob Hughes: Just like that. A career change. Chevy Stevens: I'm sort of an all-or-nothing personality. It felt like a calling. Bob Hughes: And did you have an idea of where the novel would go at first? For many first-time writers, plotting is difficult. Chevy Stevens: I had a few plot points in mind, certain things that I knew happened. But I just started writing. I heard her - Annie - talking in a monologue and telling her story. I had a first draft in three months. Then I had to work very hard on the timeline. With my second book, I'm trying to get my timeline right first. Fixing it later is a problem. Bob Hughes: Were there other areas you had to fix in the story itself? We know from the outset that she's been freed somehow - though we don't know exactly how - because she's telling her story to a therapist. Chevy Stevens : I worked really hard to get the second half as exciting as the first. I did a lot of rewriting. I tend to rewrite one character then go to another. Bob Hughes: And the therapy sessions were there from the start. Chevy Stevens: Yes. That helped with structure. I also wanted Annie to go through the five stages of grief, so that she was evolving as a character. That took a long time to get right. Bob Hughes : The character of Annie is interesting. She is fierce, and obviously damaged when we meet her. Did you work hard to keep her sympathetic to the reader? Chevy Stevens: I think people identify with her. I think she's somebody trying so hard, and I think that's what people connect with. Bob Hughes: The therapy sessions - the beginning of each chapter - sound so real. Did you do research to get them right? Chevy Stevens : I didn't talk to any particular shrink. In my own twenties I had done therapy. I like psychology personally; I've read every self-help book. I lost my dad when I was young, and had done some therapy to get through that. We're always trying to improve. 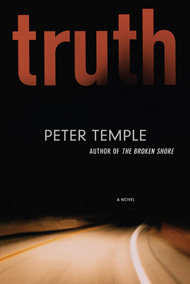 Bob Hughes: Which is what the novel is really about - moving on. Chevy Stevens: It was never for me about just the abduction. It was the survival of it. SO GOOD, IT'S CRIMINAL... ENTER TO WIN! Have more fun with your crime! Check out the cool characters and awesome games at StephaniePlum.com! 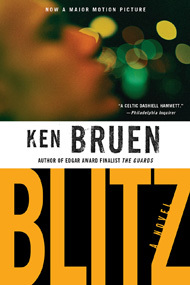 a whole new audience will be exposed to this deeply moving and dazzling writer. In this installment of what Entertainment Weekly calls, "A brilliant series," a homeless man throws himself off a bridge but leaves behind a suitcase full of cash, and an up-and-coming politician is found murdered. 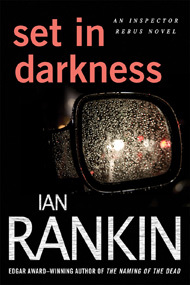 Rebus has more serious police work at hand - and a confrontation with one of Edinburgh's most notorious criminals. Someone's going to make a lot of money out of Scotland's independence - and where there's big money at stake, darkness gathers. The Replacement Child is the winner of the first annual Tony Hillerman Prize for best mystery set in the Southwest. A smart, realistic mystery with down-to-earth characters, and rich with details of New Mexico and the people who live there, The Replacement Child is the perfect novel for anyone who has fallen in love with the Southwest that Hillerman so lovingly described in his Leaphorn and Chee mysteries.